My host in Asunción, Paraguayan harpist Rito Pedersen, gave me numerous opportunities to make a case for bilingualism on the media. 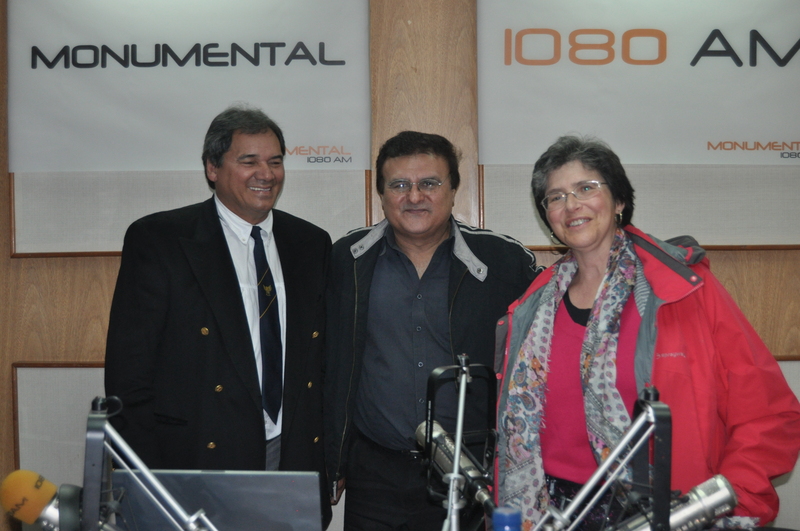 I was interviewed on Juan Pastoriza’s radio programme La noche del folklore (Radio Monumental, 30.07.12) and on the TV programme Kay’ Huape hosted by Guarni poet Ramón Silva (25.07.12), where I also performed two songs in Guarani. 2. Interview: After a quick introduction by Rito Pedersen, I talked about the use of Spanish and Guarani in Paraguayan music, bearing in mind the programme’s audience: Guarani speakers, both urban and rural, mostly working class at breakfast time. This entry was posted in English and tagged media, music, research. Bookmark the permalink.